“Pray then like this: ‘Our Father in heaven…’” (Matt. 6:9a). Instruction manuals are becoming obsolete. When the disciples of Jesus asked him how to pray (“Lord, teach us to pray,” Luke 11:1), he didn’t give them a prayer manual; he gave them a prayer model. This model prayer is known as “The Lord’s Prayer” (Matt. 6:9-13; Luke 11:2-4). Before Jesus tells his followers how they should pray (vv. 9-13), he tells them how they should not pray (vv. 5-8). They should not pray “as the Gentiles [i.e., the pagans] do” (v. 7). “They think that they will be heard for their many words” (v. 7). In other words, they think they won’t get their god’s attention unless they keep pestering him. The pagan’s god is like a landlord. To get a landlord’s attention, you often need to keep pestering until he finally gets your leaky faucet fixed. Our God is not like a landlord; he’s our Father. He won’t ignore us. We are his children, and he loves us. 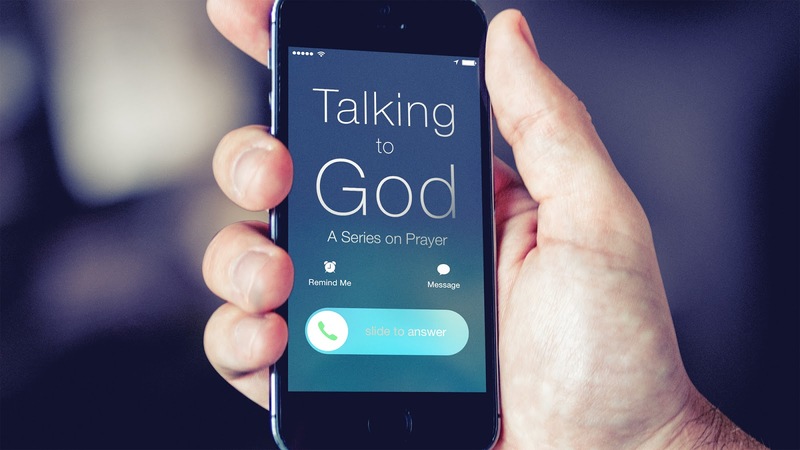 To pray the right way, we must pray believing that we are talking to a Father who loves us. What right do we have to call God our Father? We can call God our Father because he has adopted us into his family. To all who have put their faith in Jesus, “[God] gave the right to become children of God” (John 1:12). God didn’t simply snap his fingers and say, “You’re in my family.” He brought us into his family through the death of Jesus on the cross. The cross is the proof of God’s love for us. We know that God loves us because he “did not spare his own Son but gave him us for us all” (Rom. 8:32). “God so loved the world, that he gave his only Son, that whoever believes in him should not perish but have eternal life” (John 3:16). “God shows his love for us in that while we were still sinners, Christ died for us” (Rom. 5:8). J. I. Packer writes, “As God’s adopted children we are loved no less than is the one whom God called his ‘beloved Son.’”  “See what kind of love the Father has given to us, that we should be called children of God” (1 John 3:1). This is what Jesus did. He showed us how to pray. And he began by showing us that we are praying to a Father who loves us. In this context, a Gentile refers to a pagan (i.e., someone who worships a false god). Many people’s fathers are/were not good, so it can be difficult to relate to God as his child. We must remember that God is a perfect Father. J. I. Packer, Praying the Lord’s Prayer, 28. R. T. France writes, “The connecting ‘then’ indicates that the following words will express the trust in a heavenly Father which has been stated in verses 7-8 to be the basis of true prayer” (The Gospel of Matthew, 244). As for you, brothers, do not grow weary in doing good (v. 13). Some people in the Thessalonian church were “walking in idleness.” The Greek word translated “idleness” (ataktos) literally means “out of order.”  They were “out of order” because they were refusing to work. It wasn’t that they couldn’t work; they wouldn’t work. During my younger years, I was often asked, “Are you working hard or hardly working?” Some of the Thessalonians were hardly working. To make matters worse, they weren’t exactly idle. They weren’t “busy at work,” but they were “busybodies” (v. 11). This wasn’t something that Paul took lightly. He writes, “Now such persons we command and encourage in the Lord Jesus Christ to do their work quietly and to earn their own living” (v. 12). If they don’t obey this command, Paul tells the Thessalonians to exercise tough love: “keep away from any brother who is walking in idleness” (v. 6). What’s the desired outcome of this tough love? Paul writes, “If anyone does not obey what we say in this letter, take note of that person, and have nothing to do with him, that he may be ashamed” (v. 14). Is shame the desired outcome? No, Paul writes, “Do not regard him as an enemy, but warn him as a brother” (v. 15). The “brother” is warned so that he will acknowledge his sin and turn from it. 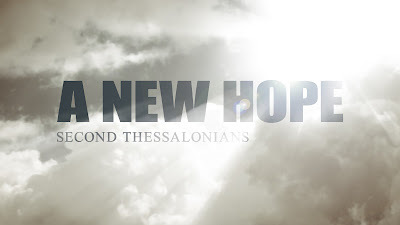 Paul mentions that he worked hard with his hands—his trade was tent making—while he was with the Thessalonians (vv. 7-9). He was worthy of receiving money from the Thessalonians for his preaching and teaching, but he decided that the gospel would be better received if he supported himself. There are many reasons why Christians should work and do their best at their work: (1) so that we won’t be an unnecessary burden to others (vv. 8, 12), (2) so that we will have money to share with those in need (1 Thess. 4:28), and (3) so that we may win the respect of those outside the church. How we work can affect how people view the gospel. In his first letter to the Thessalonians, Paul urged them to “to work with your hands…, so that you may walk properly before outsiders” (4:12). Notice that all four reasons are other-oriented rather than self-centered. The motive is love. Jesus said, “A new commandment I give to you, that you love one another: just as I have loved you, you also are to love one another. By this all people will know that you are my disciples, if you have love for one another” (John 13:34-35). The NIV says, “Never tire of doing what is right.” We might get tired from doing good, but we’re never to get tired of doing good. Remember the good that God has done for us, especially giving his Son to die for us. John 4:6 tells us that Jesus sat down because he was tired (“wearied as he was from his journey”).